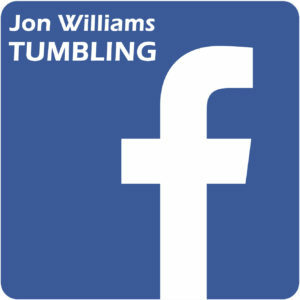 Mr. Jon Williams and his personally trained staff, teach athletes of all ages, the skills, and discipline to perform basic and advanced tumbling. Programs are offered to children as young as 2 years old through adults of any age. Programs offered are Tumbling Tots, Beginners, Intermediate and Advanced levels. Adult Classes offer coached classes to practice skills, conditioning, strength, and flexibility. Our class schedules include several evening and weekend classes to choose from. 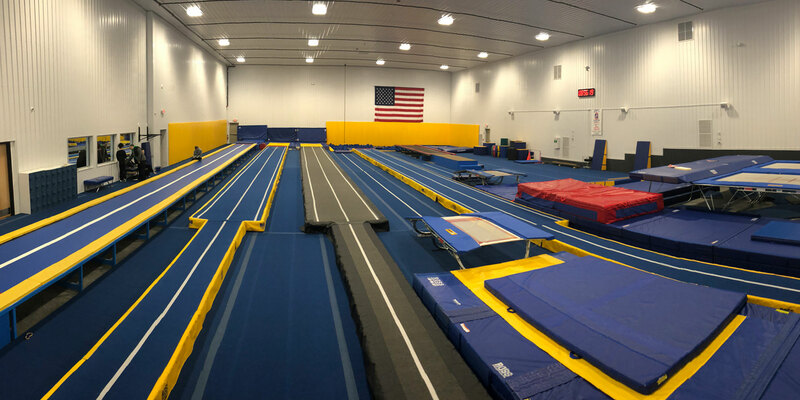 Home Schooled Classes during the day, as well as special skills classes that focus specifically on just one skill, such as a back handspring and private lessons. Regardless of the type of tumbling a child chooses to participate in, we provide a safe and positive experience. We believe all our tumblers should have the best coaches and equipment we can offer them. Our coaches work hard to present a positive role model that reflects the same commitment, achievement, and self-esteem they expect from their tumblers. All class fees are based on 8-class sessions. Fees are adjusted if certain session classes have 6 or 7 dates. All payments are due prior to the first class of each session. Class payments received after the 2nd class of the session will be assessed a $10 late fee. Class attendance will be taken by Jon or another instructor. Pro-rating of a class is only done for new students if registering after the session has begun. Class sizes are limited, so advanced registration for multiple sessions is highly recommended to keep the day and time you require. This discount is applicable when a student is enrolled in multiple classes for the same session. The first class must be paid at full rate each session before additional classes are discounted. You will need to register in person or by phone to receive the 10% off. Note: There are no discounts for multi-classes in tumbling tots. Online registration does not recognize multi-class discount so call (309) 699-3923 to register. This discount is applicable when additional members of the household are enrolled for the same session (does not have to be the same class or day of the week). The first student must be paid at full rate each session before discount can be applied. You will need to register in person or by phone to receive the 10% off. Online registration will only give discounts if the children are in the same tumbling class and time. Note: There are no discounts for multiple students in tumbling tots. Online registration does not recognize multistudent discount so call (309) 699-3923 to register. Females – leotards, shorts, tight shirts. Males – tank tops or tight shirts and shorts. A tumbling waiver must be signed for all new students and renewed on a yearly basis. The waiver is available at the Tumbling Building, the Park District website or at the Administration Center. In the event a class is cancelled due to inclement weather, the Park District post on it’s Facebook Page, and Website Home Page. In addition, the Park District will put information on the local news channel websites under “Closings”. A credit will be issued to your account for the cancelled class. Due to the limited space in our classes the cancelled class will not be made up. If your child will not be attending future classes a refund will be issued. If your child misses a class due to illness, injury or other reason, the class can be made up in another class during the same session. IMPORTANT: Due to the limited space in classes you must call the Park District (309-699-3923) and let us know your child needs to make up a class. The Park District will direct you to the date(s) and time(s) that are available and will add your child to the roster for the day you choose. All registration must go through the Park District. Do not give payments to tumbling instructors. ONLINE REGISTRATION NOTE: If you are signing up online and receive a message that you have an account already, please make sure to call in to the Administration Center at 309-699-3923 to have your password reset. The reset password function does not work. Copyrights Fondulac Park District 2018 ©. All rights reserved.